A review of almost any publisher's spring catalogue offerings in this centennial year reveals that there will be a flood of Great War books coming to the market. Some of them are new works while a vast majority of the books are re-releases. This veritable deluge will overwhelm many works that are more noteworthy than others. Such is the case of Alamo Doughboy, a truly noteworthy work that should not be missed or wind up overshadowed. Jennifer Rude Klett is a self-described non-fiction writer living in Wisconsin. She is one of the granddaughters of Pvt. George "Judge" Knott, the primary subject of this book, who was a member of the 90th Infantry Division. Yet the book is more than just one Doughboy's experience. Klett vividly describes the experiences of Knott, his two brothers, and two cousins who were also involved in fighting in the war to end all wars in France. Her sources included letters written home from "somewhere in France," documents kept by Knott's daughter, and interviews that were recorded shortly before Knott died in the 1970s. The author lays out a captivating story starting with life on the farm in Minnesota where the Knott family had its roots. I was pleasantly surprised to find that the family was not of the silk stocking variety as is so often the case in a personal experience in the Great War. The family was large with four brothers and five sisters. The boys shared one sleeping room with two beds while the sisters had a separate room with the same shared sleeping accommodations. Judge, our central figure, was told to quit school after completing the eighth grade and worked on the family farm, sometimes putting in 14-hour days at 25 cents for each of those long days. His two older brothers did not finish high school either. I was again surprised when I didn't find the usual patriotic flare of voluntarily enlisting as soon as war was declared. Instead, all three brothers duly registered for the draft in June 1917 and waited their turn. They were inducted in quick succession beginning in September 1917 and ending in May of the following year. The first brother and Judge went to the 88th Division, while the third brother went to the 6th Division. But the life of an inductee is never so easy. Both brothers who had gone to the 88th Division became backfills to other divisions that were already supplying drafts to divisions leaving for France. 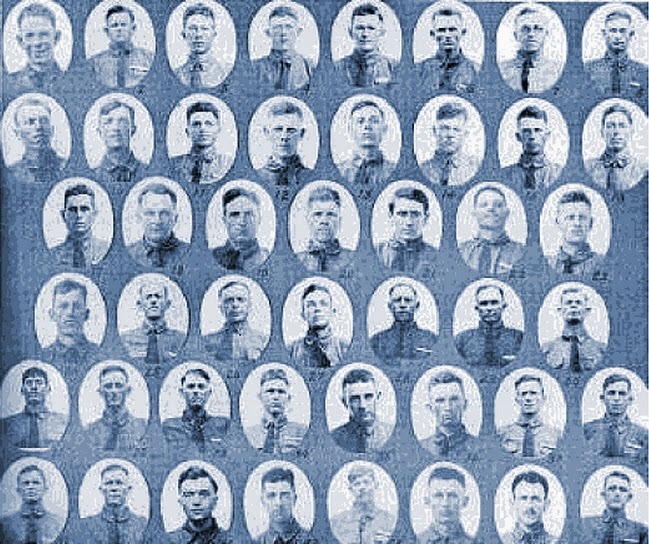 Judge found himself in Camp Travis, TX, with the 90th Division, composed primarily of inductees from Texas and Oklahoma, in which he stayed for the entire war. Having a similar upbringing as the farmers and ranchers he was housed with, Knott fit right in with the ethos of the division. What unfolds after those initial chapters is a story of life in the trenches for a Doughboy. Judge Knott saw action in St. Mihiel and the Meuse-Argonne offensive with his brothers and cousins assigned in adjacent divisions engaged in the same actions. Judge's letters home are quite revealing regarding the tedium that the common Doughboy experienced, as well as containing brief glimpses into combat situations, and that is what makes this book different from the rest. There are no generalities nor are there aspirations toward a higher goal. Judge and his brothers saw their service as something that they owed their country as citizens and not as an inconvenience. This factor comes through time after time. None of the brothers complains about raw living conditions or the fear of battle or standing guard. There are the scattered notations of being homesick, but not the deep, almost depression-ridden thoughts that other books portray. The narration is like talking to a friend over a steaming cup of coffee on a cold winter night. Miraculously, all three brothers survive the war, without wounds, and the final chapters are filled with letters from them as part of the occupation forces, which offer another insight into the Great War. Like those brothers, this work needs to survive the flood of centennial releases. I think this situation us much more the norm than the over-emotional works you mentioned.